Over the years Dongyun Lee has done several illustrations for both Deloitte University Press and Deloitte Review. 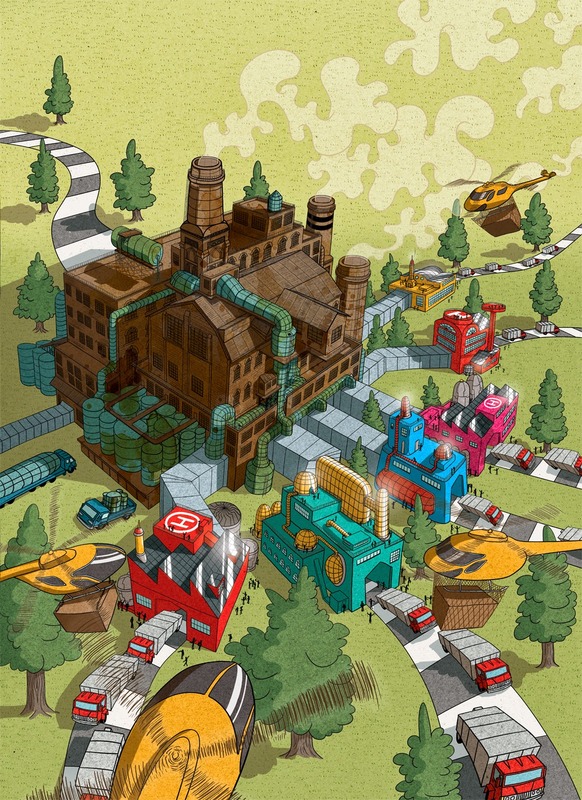 The most recent illustrations Dongyun has created is for an article about "The Future of Manufacturing". The article is about how the current economic position has call for an overall change of how products are being fabricated, how consumers are purchasing them, and even how companies are doing business. As always, Dongyun put his energetic style to the task and came out with this gem. Check it out!